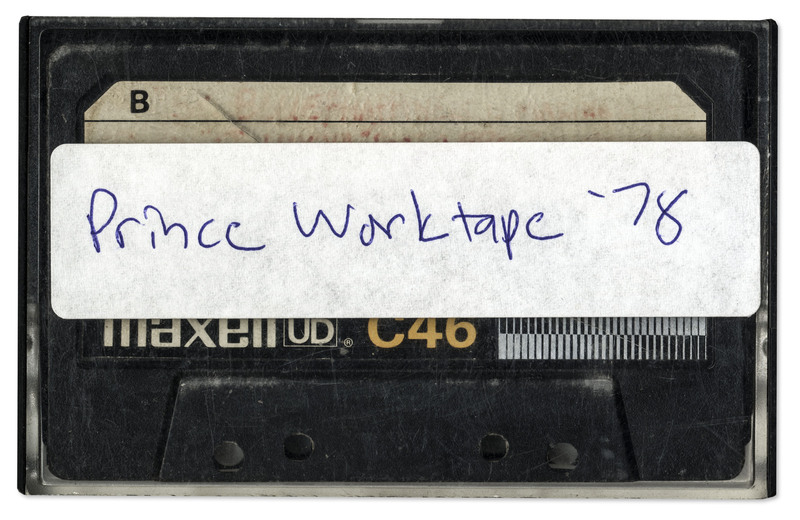 Incredibly rare cassette tape from 1978, giving a unique window into Prince's early creative process, just as his career was starting to soar. 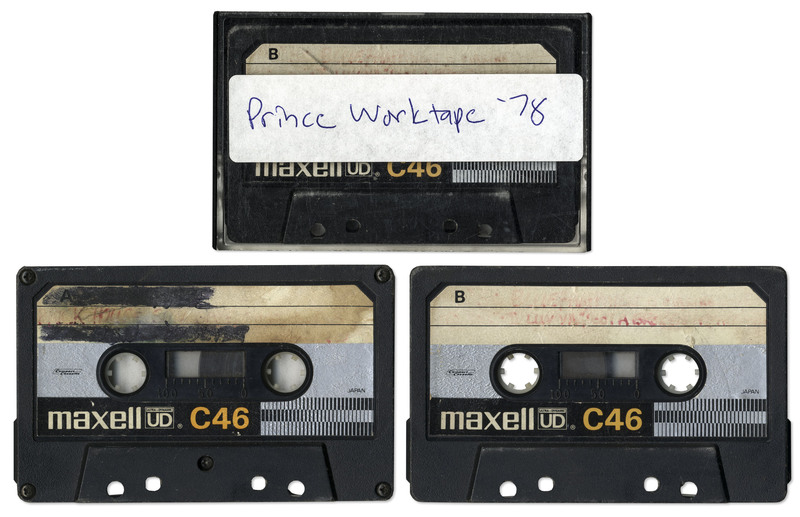 Upon one side of the tape, spanning approximately 23 minutes, are 6 songs by Prince, 3 of which are unreleased and 3 are unique versions of songs that Prince would ultimately release. 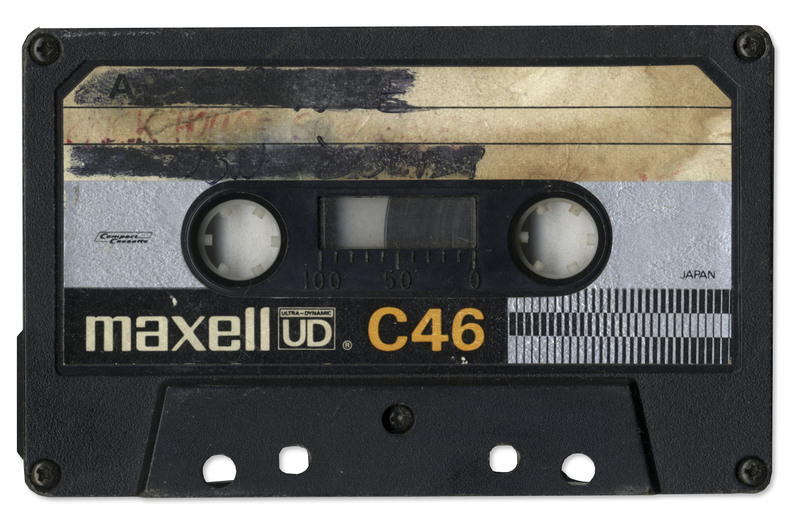 This piece of pop music history comes directly from Prince's collaborator and guitarist, Dez Dickerson, who says of the tape's origin: "Prince originally gave me the cassette in late 1978 because he wanted me to listen to a record he had recorded on side A (a female-fronted funk band whose name I don't remember now). Sometime during the next year or so, I used the A side to record some scratch bass and guitar parts for songs I was going to be recording for a rock/power pop demo I was doing, recording over the original content (you can still hear a snippet of the funk record at the end of the side). On side B, Prince had his work versions of 6 songs, which I left intact for, at that time, unknown reasons (obviously, we now know it preserved a piece of musical history)." The Side B, containing Prince's songs, opens with an early, acoustic version of "So Blue", followed by two unreleased love songs with bouncy, upbeat choruses and risque lyrics. Next is an early version of "Gotta Broken Heart Again", which later appeared on Prince's seminal "Dirty Mind" album. The fourth track features heavy guitar distortion and a chorus that include very candid sexual pleas from Prince. The tape ends with a very early, virtually unrecognizable version of "Sometimes it Snows in April", with only a couple of lines from the chorus making the final cut onto the later version of the song that's featured on the "Parade" album, released some eight years after this tape was created. 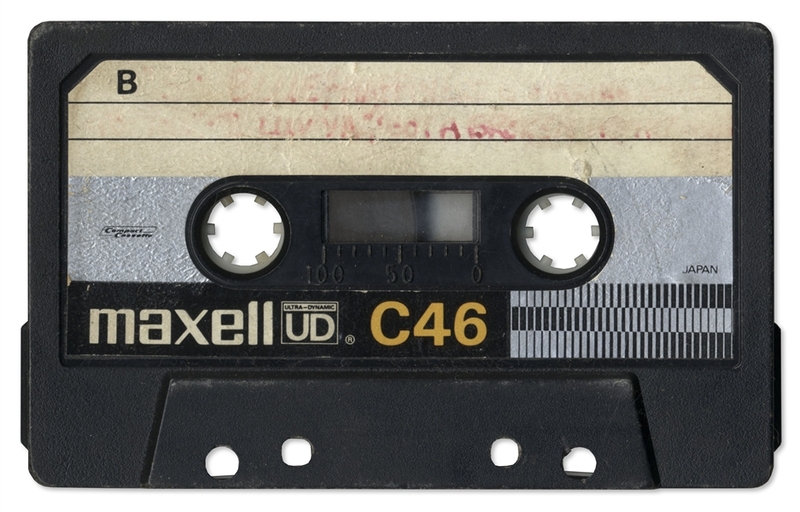 The audio quality on the tape is very good, with Prince's voice very clear and the overall sound still quite sharp. Tape is offered as collector's piece only and does not come with rights for reproduction, manufacturing or distribution. Cassette is housed in its plastic cover with "Prince Worktape '78" handwritten on it by Dez. From the collection of Dez Dickerson.